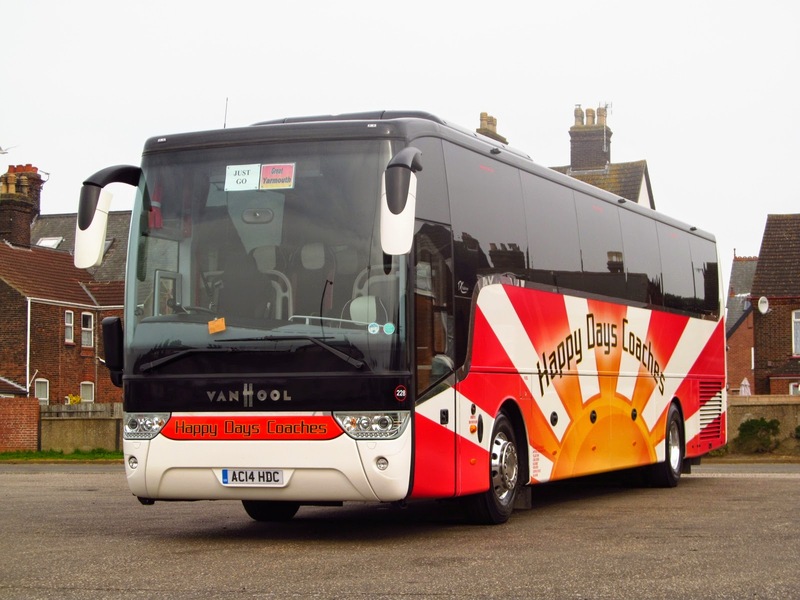 Brand new Van Hool AC14HDC is owned by Happy Days Coaches of Stafford and wears fleet number 228. 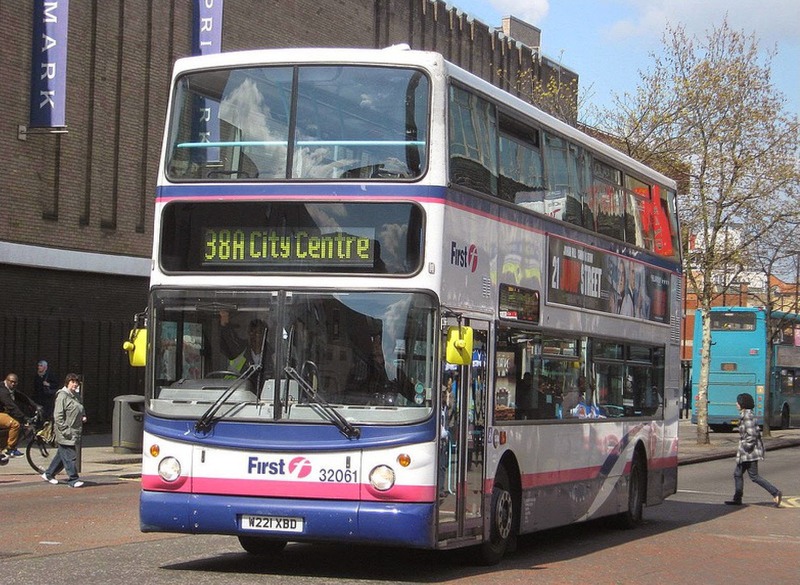 Whilst the other half and her sisters were shopping I spent a couple of hours observing bus activity in the vicinity of the bus station on St Andrew Street North. 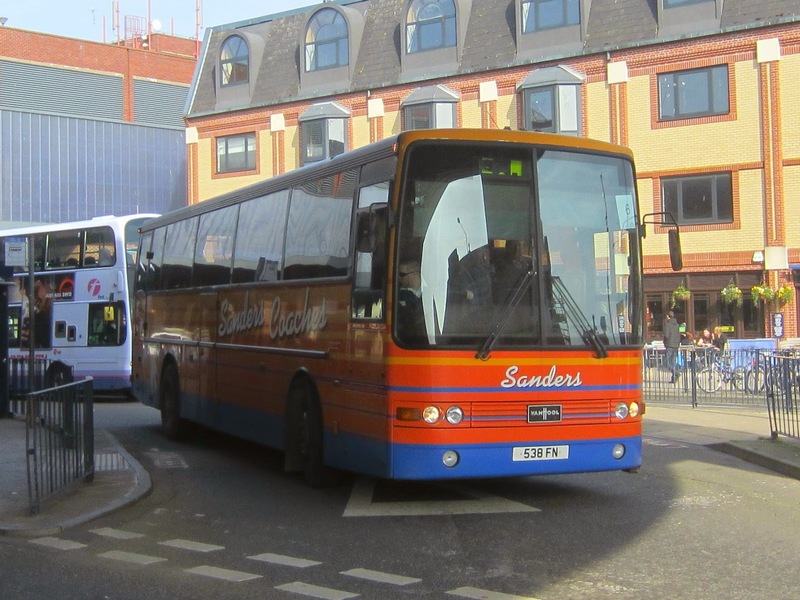 Of particular interest was the use of former Konectbus Volvo B7TL/ Plaxton President V301LGC. 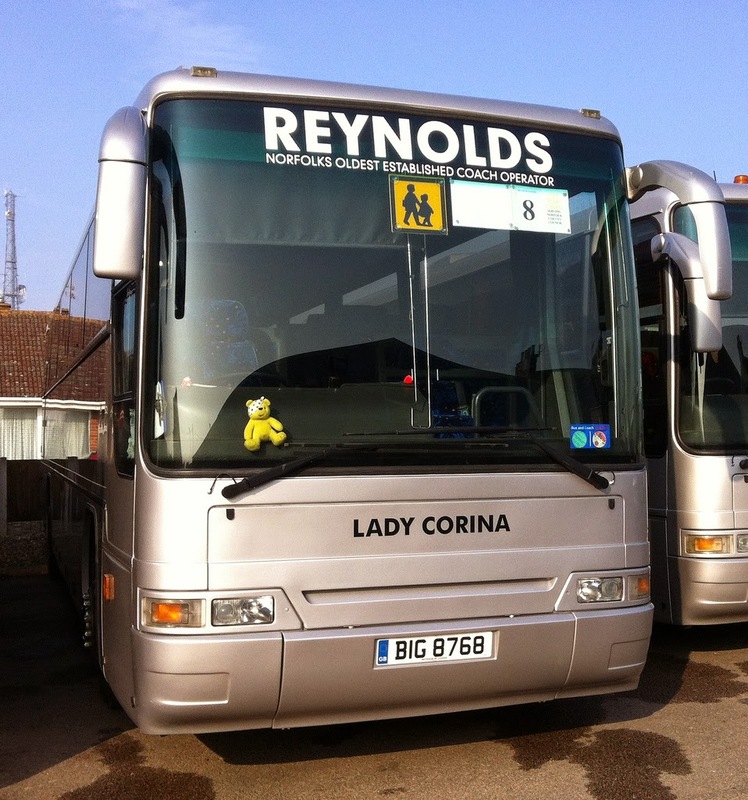 One noteable presence was that of BIG8768 Lady Corina. 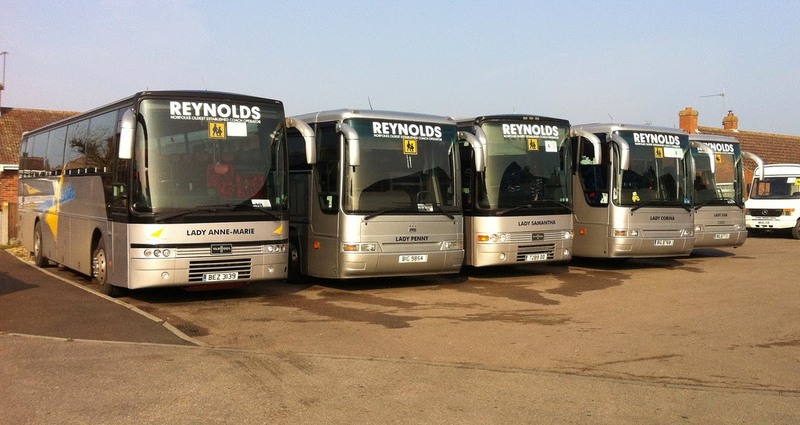 Others present included Volvo B10s BEZ3139 and 7289DD, Dennis Javelins BIG8773 and BIG9854 and Mercedes Benz BIG8790 and W600JSB. Unusually Not On the X1! 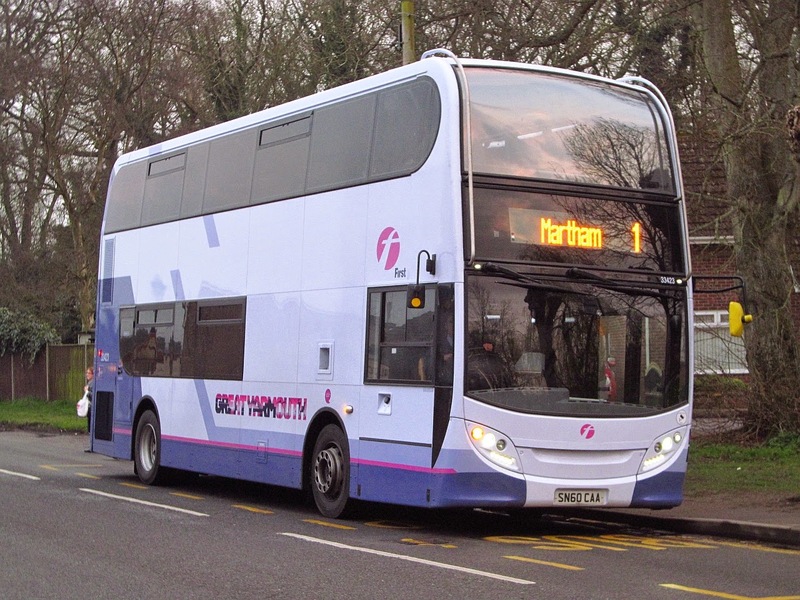 Another excuse to put a photo on the blog of the most impressive looking bus in the the First Eastern Counties fleet! It even attracted my wife's attention who commented on how good it looks - which must mean something! It didn't take too long before the first report of Olympian's 34114 W434CWX return to service to reach me! As soon as I had completed the last blog post, an email from Jamie Skinner dropped into my inbox regarding its sighting. 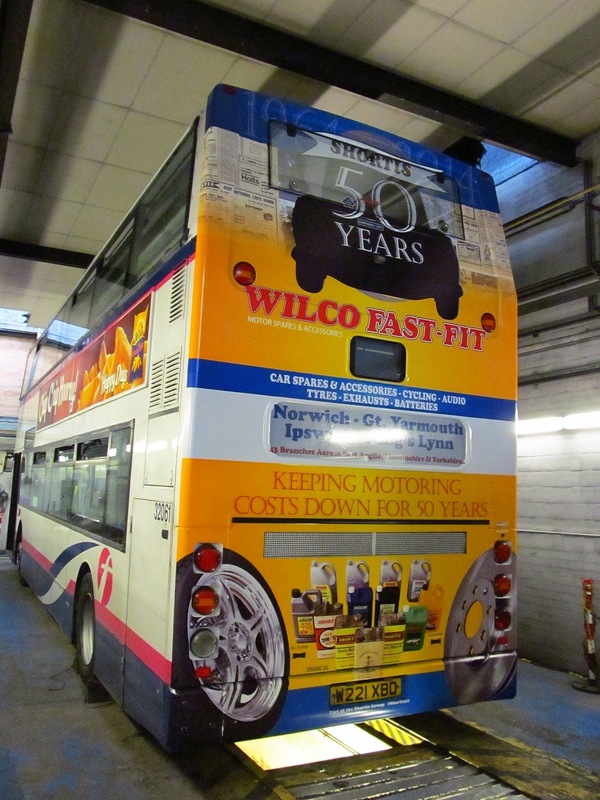 Wilco Ad ~ Done Before? Jim's photos started my rummage through back copies of the Eastern Transport Collection's Terminus Magazine. 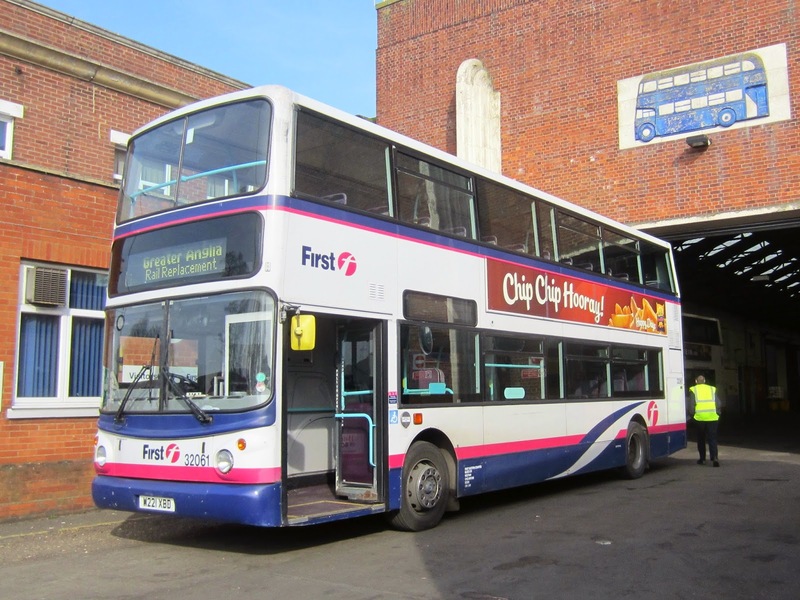 The April 1989 issue states F102AVG was one of the first Olympians to join the Eastern Counties fleet. 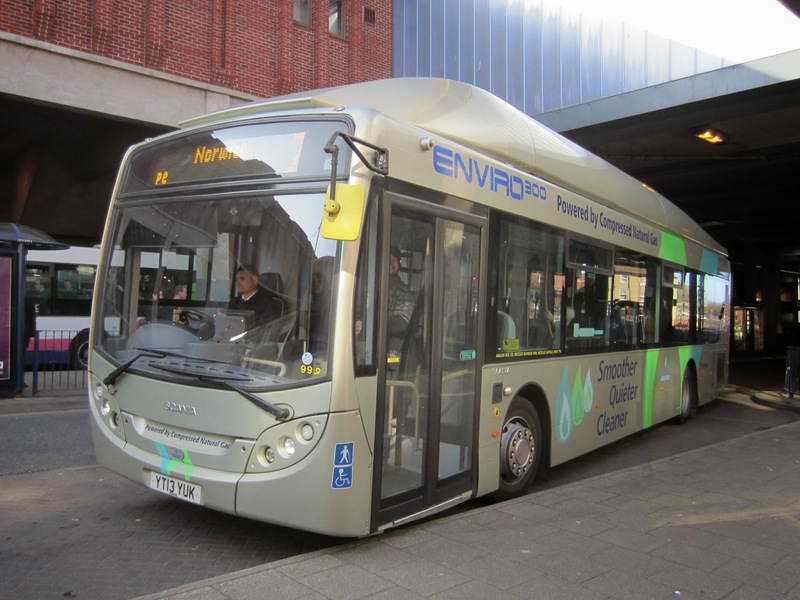 It was the first of five to be delivered on 31st March and 'probably entered service on 6th April having been used for engineering familiarisation' and a press launch the previous day. 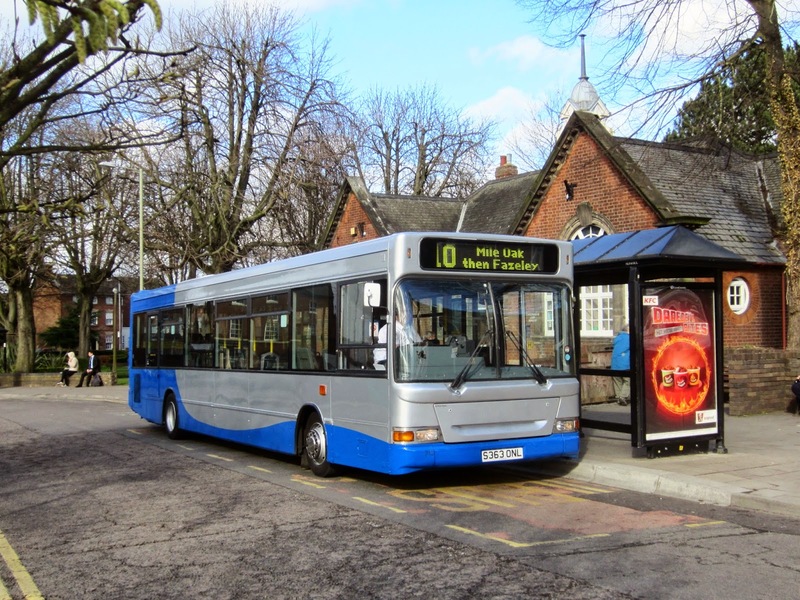 'I was waiting for the 17:15 Number 5 to Burgh Castle (last bus of the day) on Saturday at Southtown Road to go to a family meal at theirs on Burgh Rd near Rainbow stores. The driver of the 5 didn't see me because a number 1 decker was in front.. That was that and I missed it. So I started walking along Southtown Road planning to get the next bus and walking from Halfway House. The driver of the 1 spotted that I had missed it and stopped in the middle of the road and said "hop on and will see if I can catch up!" 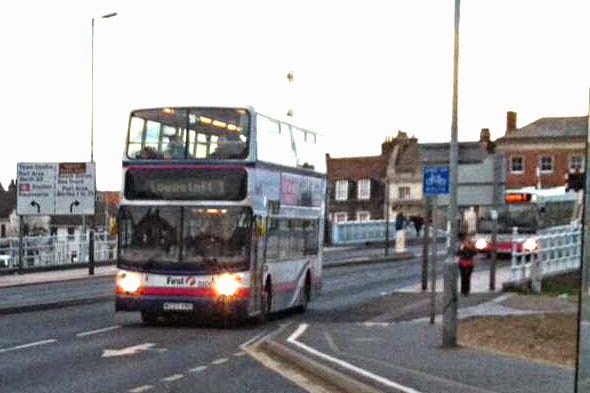 Foot to the floor the driver caught it up at the High Street and thankfully the 5 stayed and I managed to get on it and go to where I was going! 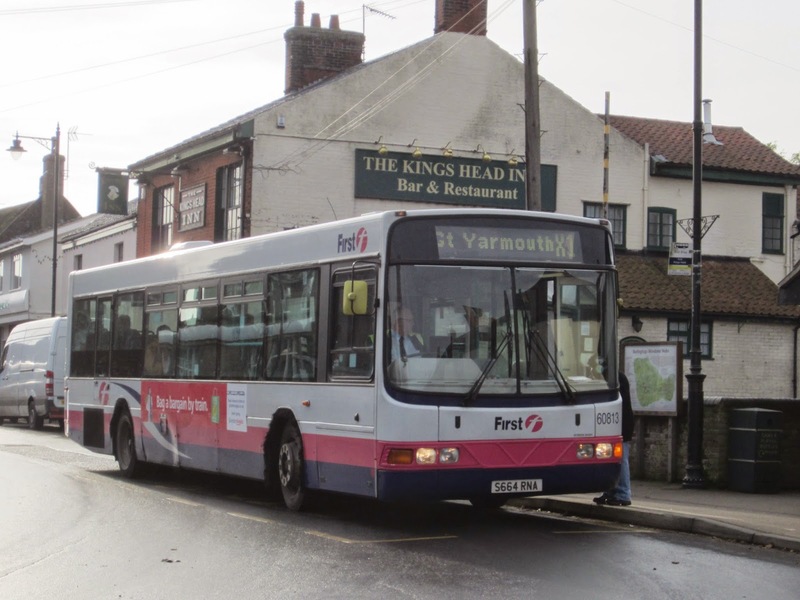 Thanks for the report and photo Jamie - it's good to see drivers doing that extra bit to help the customer. former apprentice who Ray trained. 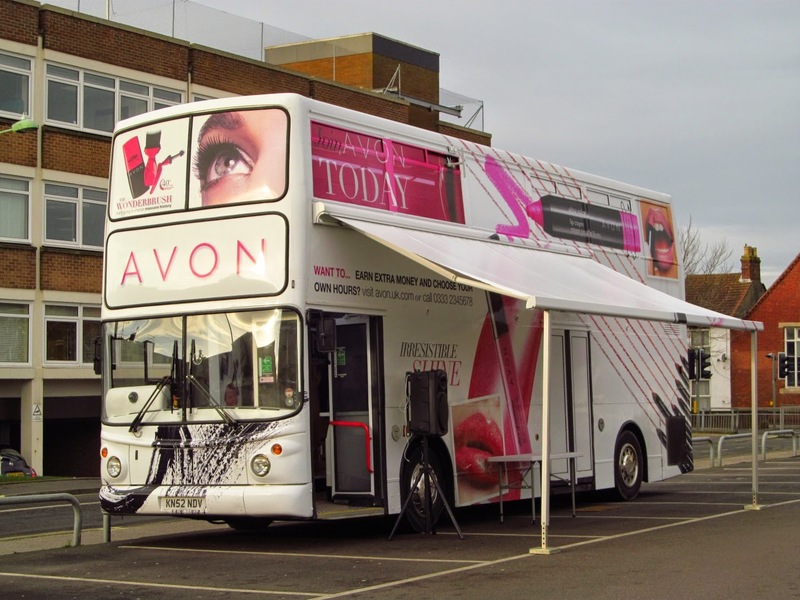 A bus painter has hung up his brushes after a career spanning more than 40 years. Ray Yaxley, 72, who works for First Eastern Counties, joined the firm as a coach painter in 1972. 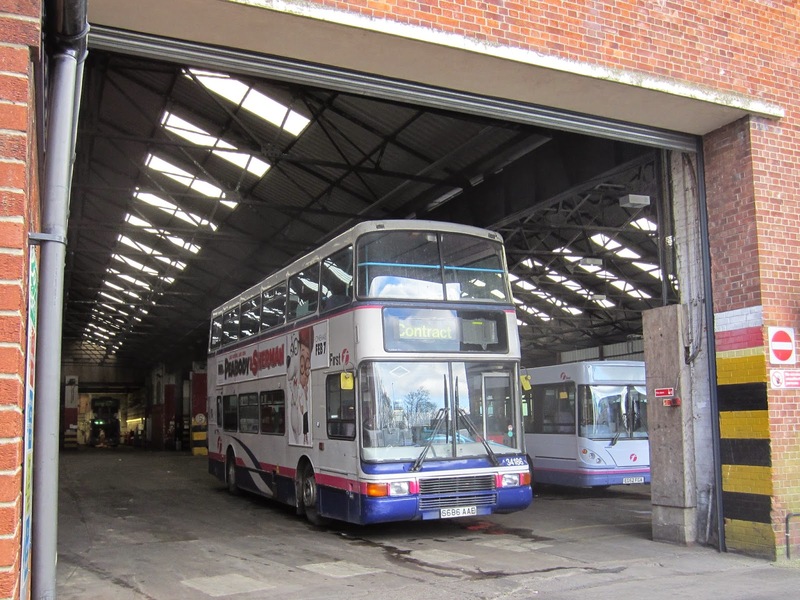 His early work saw him based at Cremorne Lane, Norwich, where he painted buses in a traditional poppy-red livery. 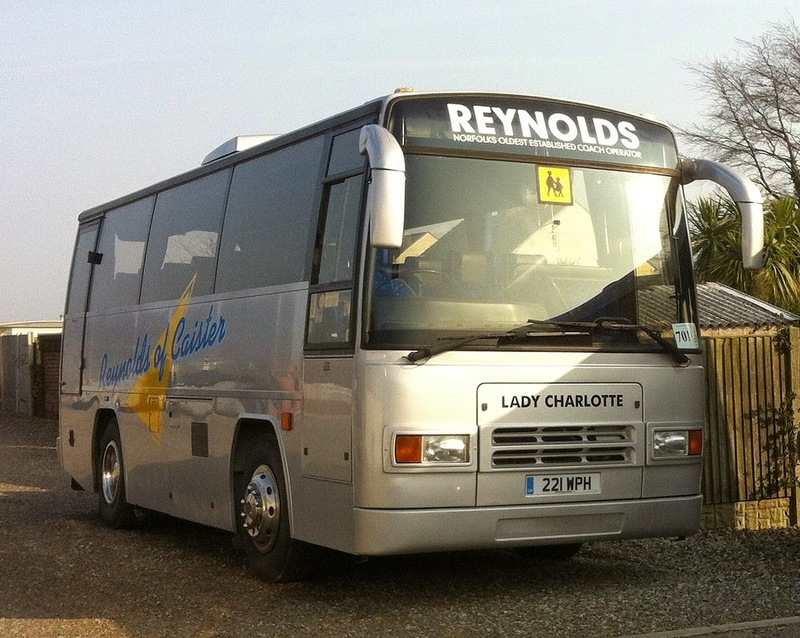 Ray, who lives in Blofield with his wife, Jean, has worked in various depots in Norwich and Great Yarmouth. He has kept an album of all the special projects and liveries he has worked on over the years. 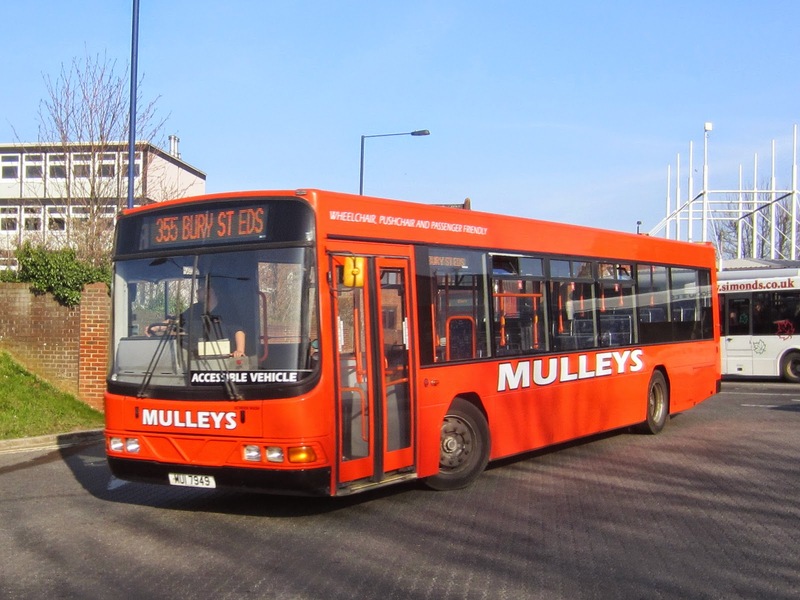 The most recent project saw him re-paint Routemasters blue, red and green. He retired when he was 62 but worked for the company part-time for another 10 years. And although he enjoyed work, he made the decision to leave when he was diagnosed with cancer of the bladder in November 2013. Following his diagnosis, he reduced his hours at work before he said a final goodbye on March 20. The latest Eastern Area Traffic Commissioner's Notices and Proceedings Report was published yesterday on the Gov.UK website. 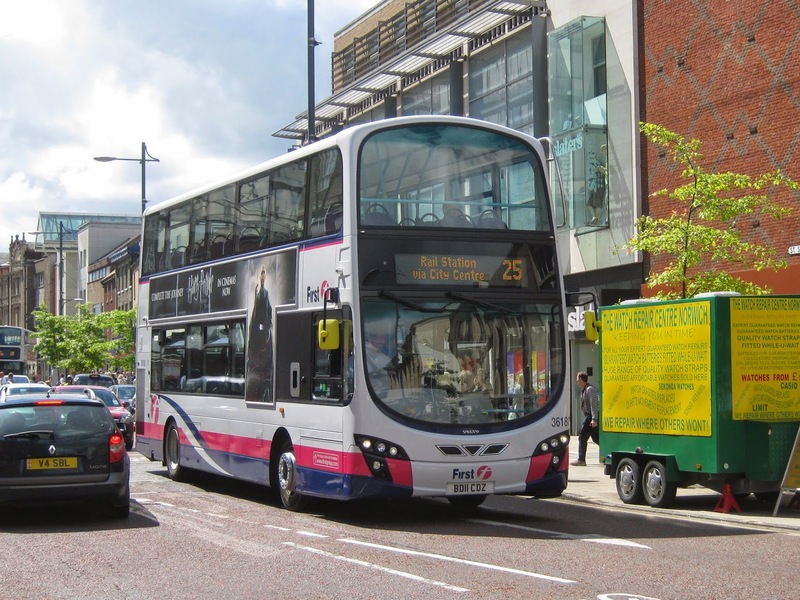 Information source: Traffic Commissioner for the Eastern Traffic Area - Notices & Proceedings Report 2175 - published on 19th March 2014. 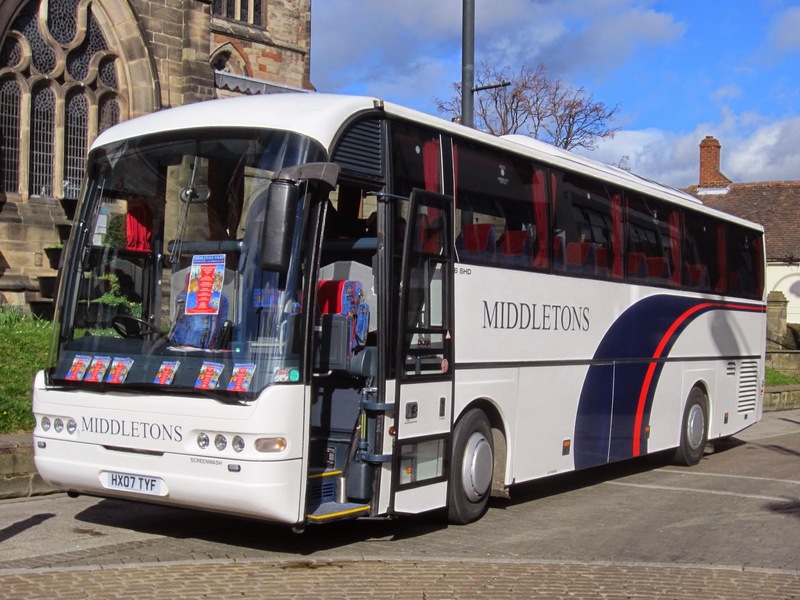 The April issue of Buses magazine reports the new owner as Rigby of Altham in Lancashire and a previous registration of T553WWT! 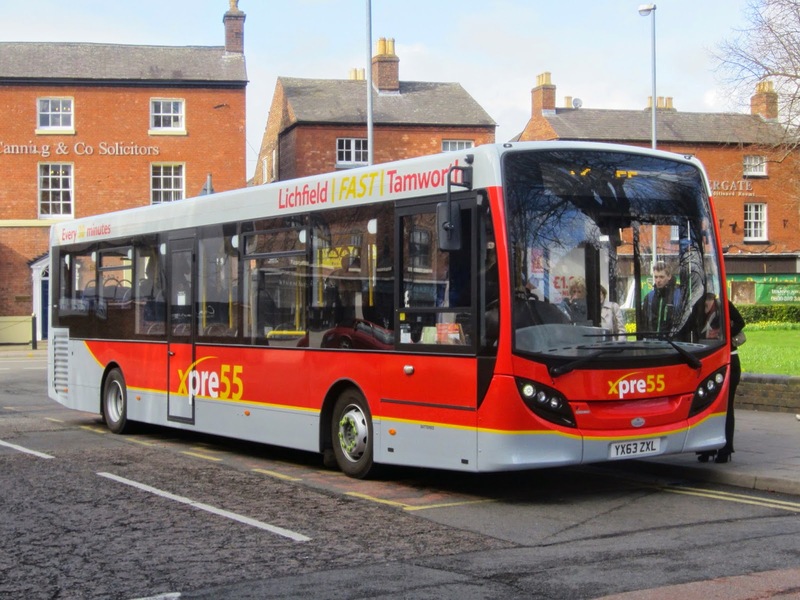 The above provided a pleasant change to the usual Tamworth Arriva Midlands diet! 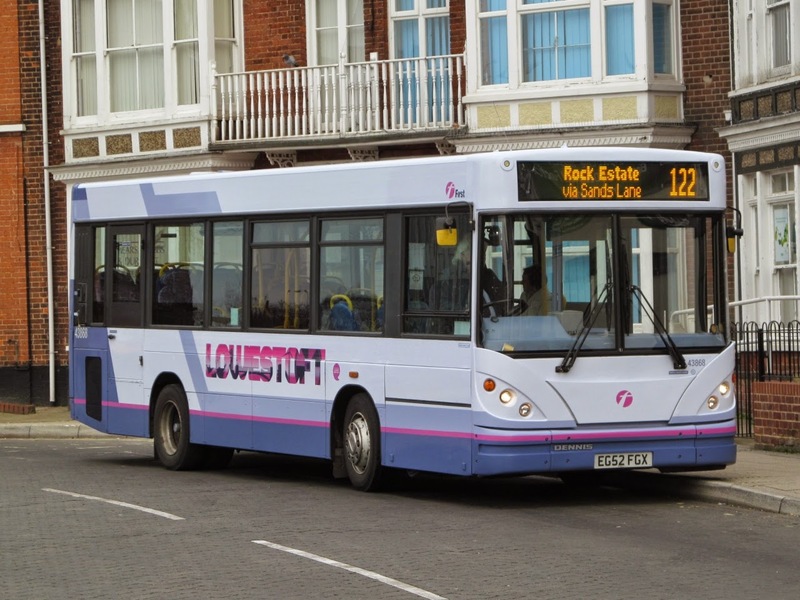 An early run for the Lowestoft 122 service at 7:45 this morning! 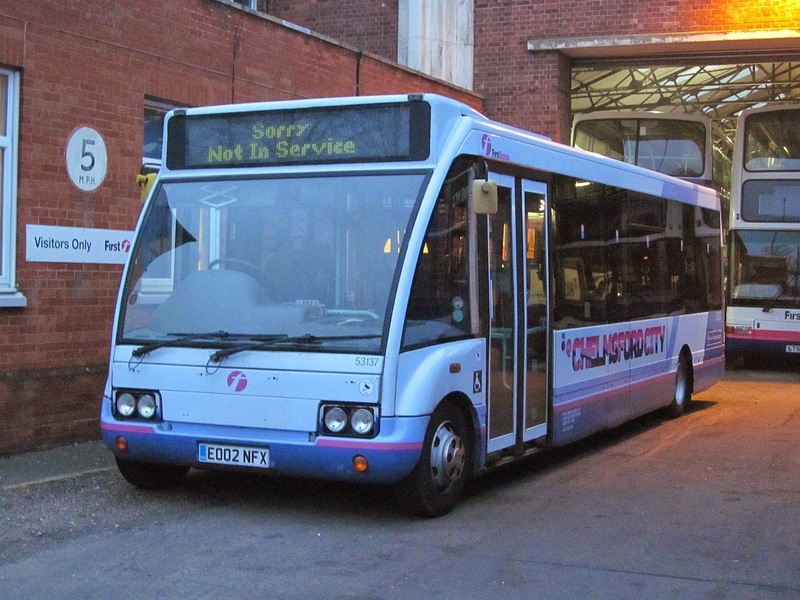 Grahame captured Dart 43868 EG52FGX complete with 122 displayed and it did depart showing 122! 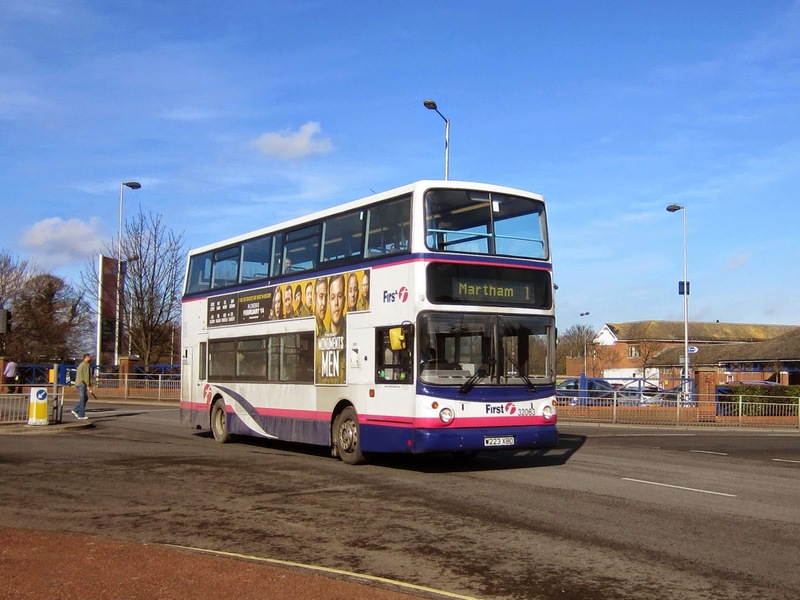 A speedy stroll, to Caister Road depot in the hope of that I might catch 32061 W221XBD there instead, was rewarded with the ALX400 sitting in the sun waiting for a photo to be taken. 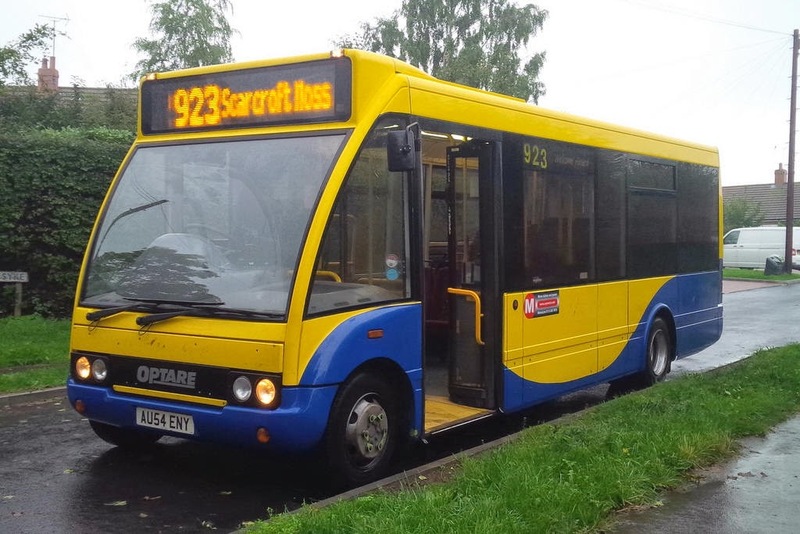 Ryan had taken 32061 out on a test drive yesterday and he informed me that the decker was due out in service today. It appears the faulty destination screen has not been repaired; it showed 'Greater Anglia Rail Replacement' as 32061 left for Caister! 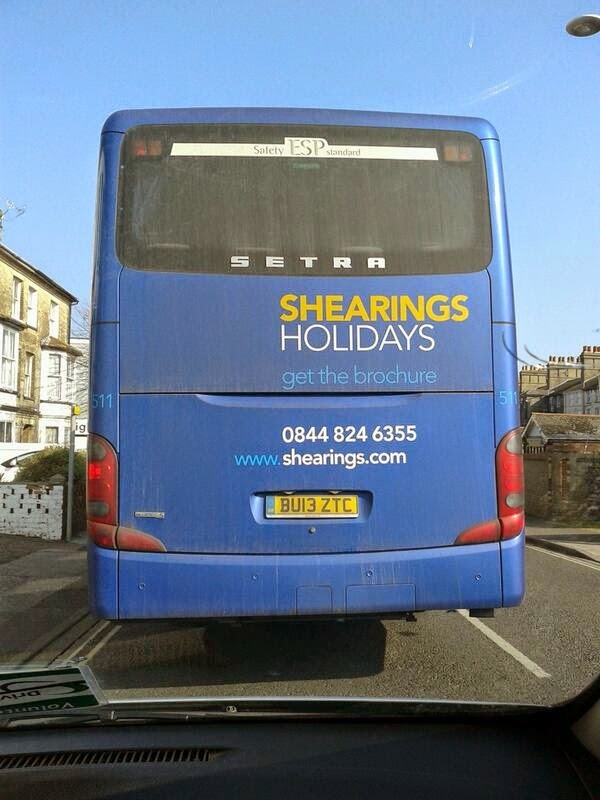 It was the rear of a Sherings Setra registered BU13ZTC! Following a message from Ryan during yesterday evening, it appears that we in the wrong part of the town to witness unusual activity yesterday! During the three hours or so we chatted, there was absolutely nothing unusual to report. 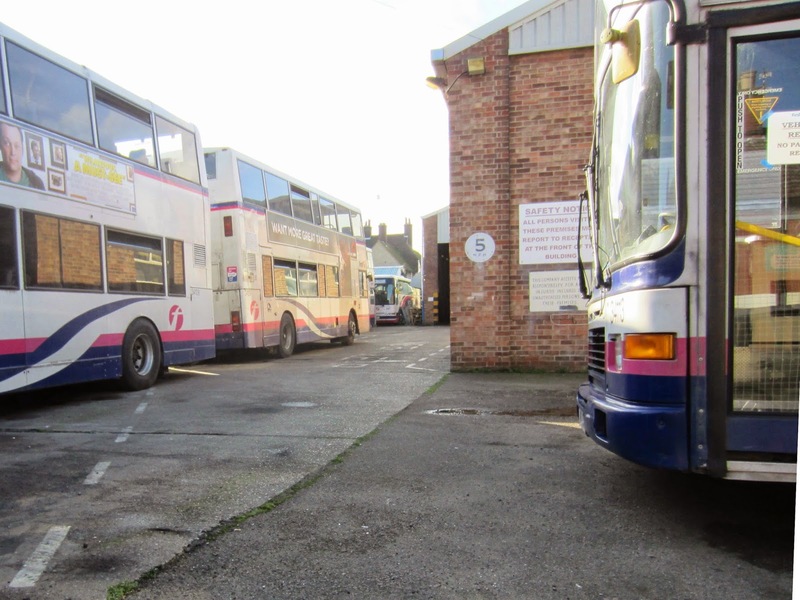 Even a trip to Beach Coach Station to see Bernard Matthews contract workings yielded nothing more that two Plaxton President bodied Volvo B7s! 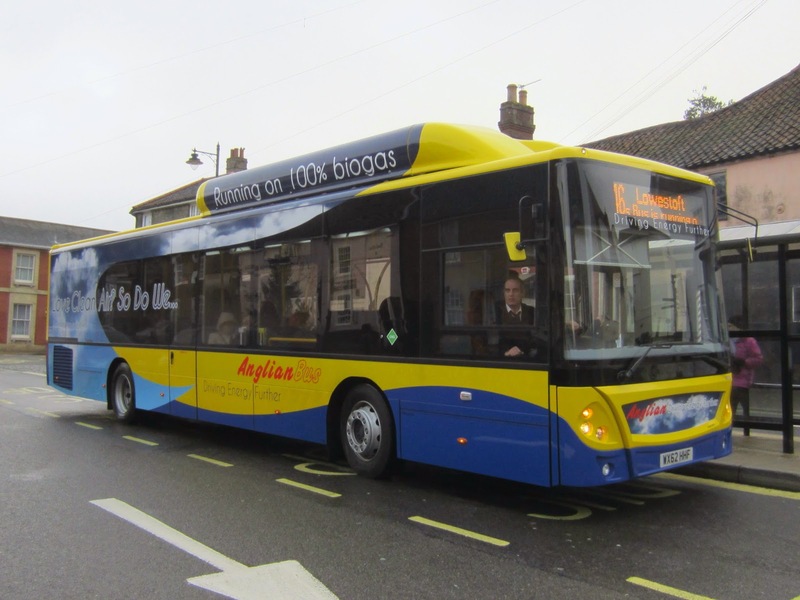 Returning to Market Gates I did get my first photos of the Alexander Dennis Enviro 300 bodied Scania gas demonstrator YT13YUK currently hired to Anglian, and that was it! Thanks for the company today Steve and let's hope the next meet up will be more productive; can't be any worse! Ross Newman regularly provides reports to many enthusiast groups and the disposal list for February caught my attention. 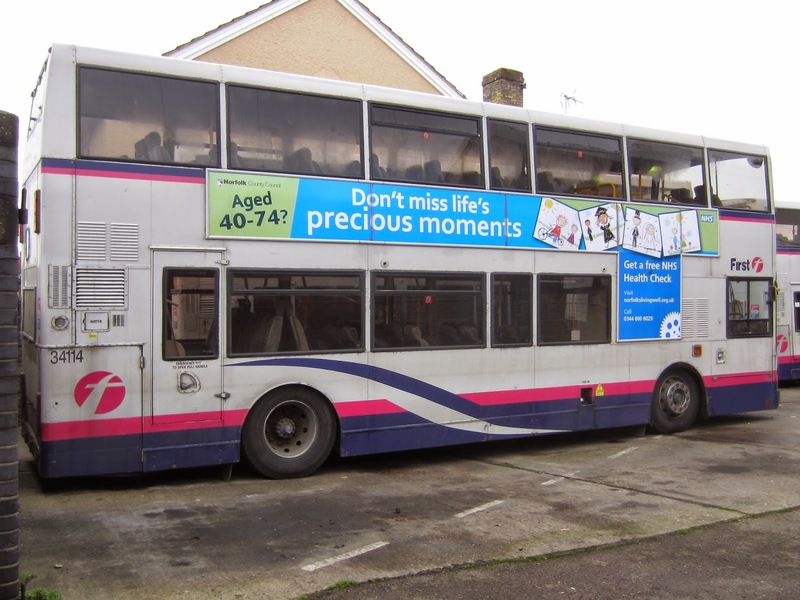 The Scania was new to Metrobus in August 2003 as their 539 and subsequently moved to Anglian in September 2012 operating as 450 in the Suffolk based fleet. 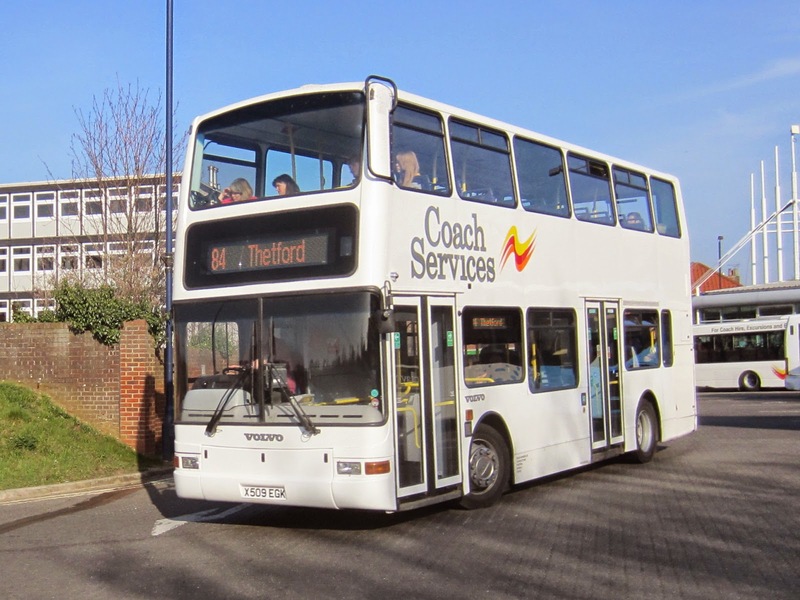 The decker is Transbus Trident KN52NDV and was new to Armchair as their DT13 before passing to Tellings Golden Miller as their TA161. 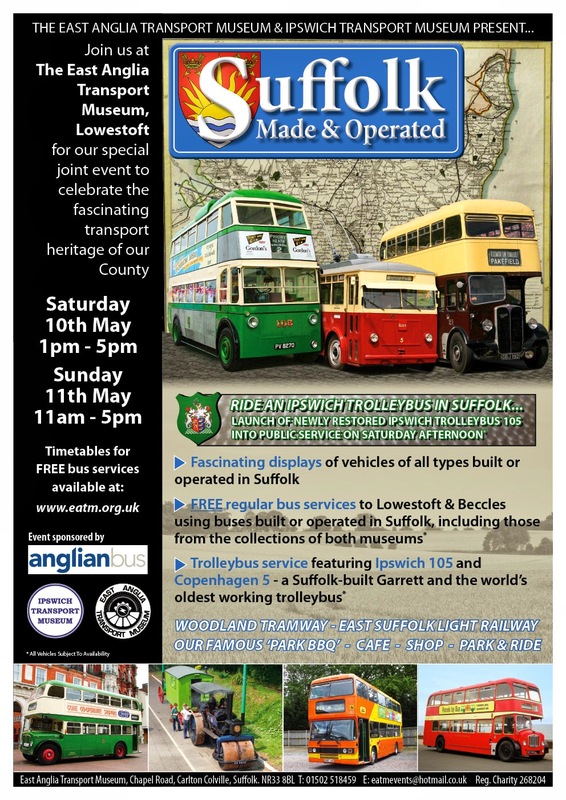 However, the star of the show will be the recently restored Ipswich Trolleybus 105 (seen above) making its public service début. My thanks to Neil for the information and photos. 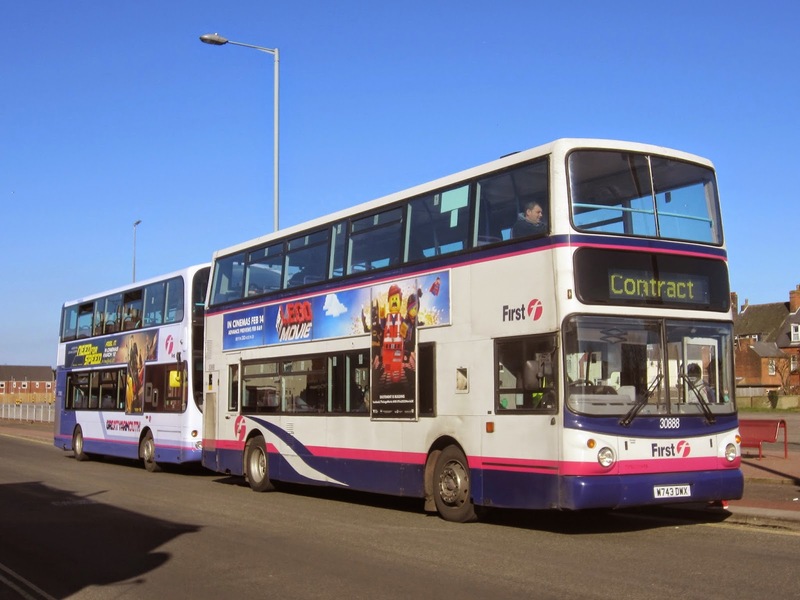 Information source: Traffic Commissioner for the Eastern Traffic Area - Notices & Proceedings Report 2174 - published on 5th March 2014. 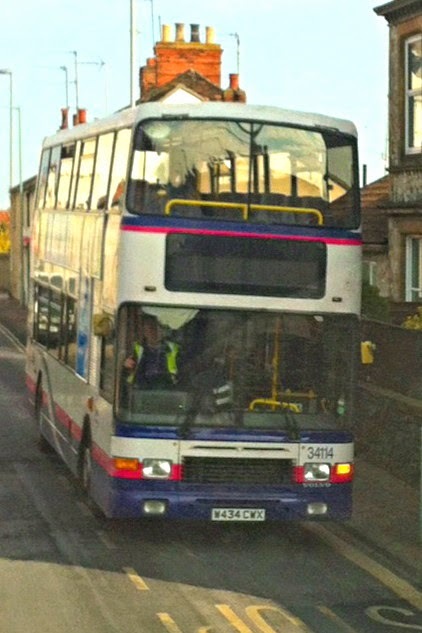 He also saw an 'unusually packed' northbound Ambassador 730 service on Southtown Road with 601 MX54KYA in use. 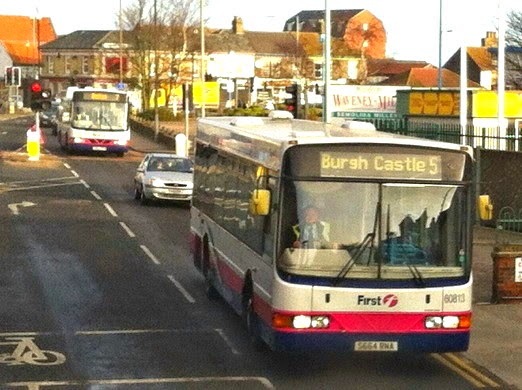 His picture was taken from the top deck of the 15:56 number 8 from Caister to the James Paget Hospital. I thought my best bet would be at Beach Coach Station to capture a photo of either of them working Bernard Matthews contracts. 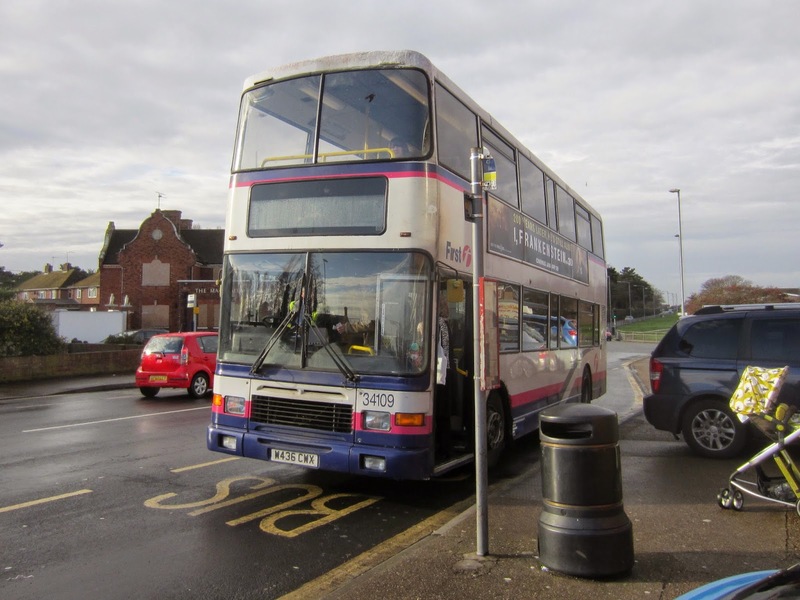 On the off chance, I headed for Caister Road depot and couldn't believe my luck as 32062 W422SRP was parked on the forecourt soaking up the sunshine! opportunity and then, just as I was driving away, 32063 W223XBD was driven out of the garage and left northbound.